August 31, 1986, LG Crabo. 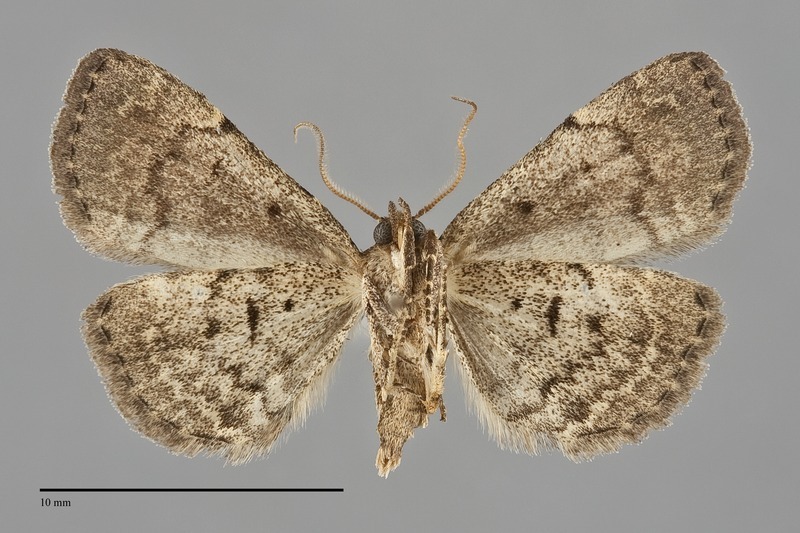 Idia aemula is a common eastern species that is found rarely in the Pacific Northwest. It is a small species (FW length 10 - 14 mm) with nearly uniform dull medium gray color. The forewings are traversed by thin irregular dark gray basal, antemedial, and postmedial lines, a more diffuse median line, and a pale subterminal line that is preceded by a dark shade. The reniform spot lacks dark outline but is prominent due to the warm ochre to orange-brown filling. The hindwing is similar to the forewing in ground color, with several wavy light and dark lines and a dark discal spot. The male antenna is biciliate while that of the female is simple. This species is similar to Idia "concisa" and Idia suffusalis. The former species has a light whitish hindwing that is lighter than that of I. aemula. Idia suffusalis has similar gray fore- and hindwings to I. aemula but lacks the pale lines in the subterminal portions of both wings. This species is common in moist forests throughout eastern North America, extending westward to the northern Rocky Mountain region. 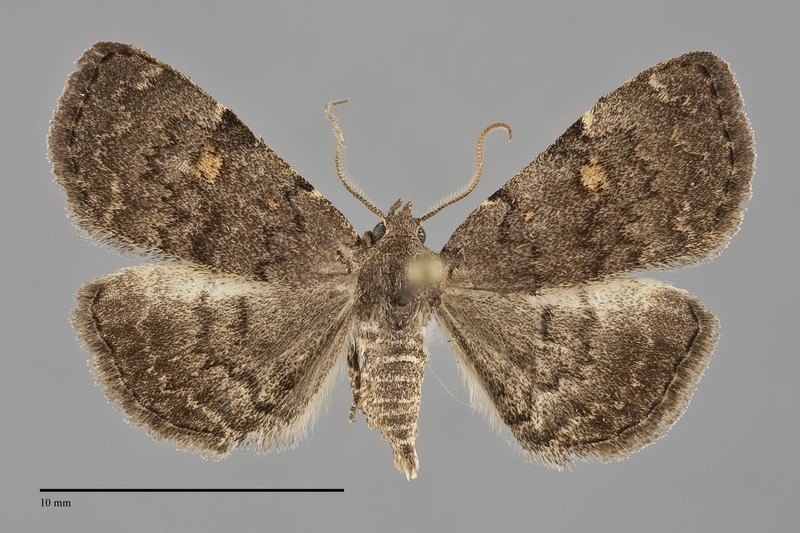 Idia aemula has been found in southern British Columbia, eastern Washington, and southeastern Idaho. This species has a broad distribution in North America. It is common and widespread in the East. This species is largely a detritivore feeding on dead leaves on the forest floor. Adults are on the wing from early summer until fall. Pacific Northwest records are from mid June until mid September. It is nocturnal and comes to lights and sugar baits.